Ray Owen has not been able to squelch his need to build since childhood. He started out building homemade go-carts, tree houses and elaborate ghost stories for his buddies in his Louisville, Kentucky neighborhood. Over three decades later, the desire has only grown. Ray graduated from the Louisville Technical Institute and spent ten years working as an industrial engineer. He left this aspect of engineering to own and operate a small construction company. Since then he has designed and built everything from custom homes to custom furniture. 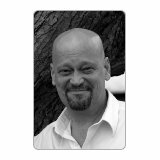 Not limited to telling, Ray has written several short stories which have been featured in a variety of radio, magazine and website venues. He now lives with his wife, son, two chocolate labs and two cats in the small town of Pekin, Indiana, where he continues to build with wood and words. We have all heard stories of people touched by angels. What if the tables were reversed? 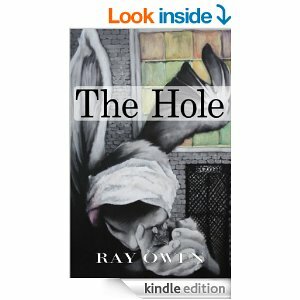 The Hole is a dingy little stepchild factory of a large corporation where scrap materials, broken down machinery and misfit employees are sent. Engineer Steve Clark finds himself among those misfits after barely recovering from a brain injury. Follow along as he utilizes a newly acquired supernatural gift while his sanity, his career and the love of his life, Roxy, are on the line. Holes aren’t always what they seem. Sometimes they lay in the threshold of a whole new life. Stewart Finney’s high-risk lifestyle takes a spin into the bizarre when he encounters the Tempered Throne. Then with the guidance of a pushy little blackbird, he meets a retired Hollywood actress, an Elvis-impersonating chauffeur, a scraggly homeless boy named Pig, and ultimately, an enchanting beauty to whom he is hopelessly drawn. When two acquaintances are murdered in the city, Stewart knows he is next. 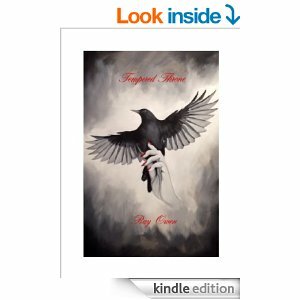 He tries to find his killer before the killer finds him, but in the meantime Stewart must confront his disreputable past. In his bleakest moment he realizes that he is and always has been in the company of angels.